If India is to match China in both technology and scale, many bottlenecks will have to be removed. The idea of ‘Make in India’ is not just about internal development, but also effectively countering threats from the outside. In terms of both geography and potential, India’s biggest competitor today is China. To compete with this economically powerful neighbour, India needs development on multiple fronts. While China has raced far ahead of India, today its manufacturing is slowing down, wages are rising and the labour force is dwindling. On the other hand, the Indian labour force is just coming of age. If we are to match China in both technology and scale, many bottlenecks have to be removed. Apart from the well-known issue of poor infrastructure, there are several areas that need to be tackled on a war footing. Skills: It is estimated that by 2030, India will have the largest labour force in the world. Yet, the availability of a large workforce alone is not enough. Jobs also need to be created and most importantly, skills have to be developed. ‘Make in India’ seems like the perfect platform to absorb an annual 12 million-strong workforce with jobs. However, unless this workforce is equipped with the required skills, India will miss the bus again. China invested in education and is reaping the benefits. Consider this; in 2004, while China had only eight universities in the world’s top 500, and none in the top 200, the current respective figures are 32, and six. China’s universities are now second only to those in the US in terms of the total research output. The correlation between the quality of education and the nation’s progress is obvious. The Indian government and the private sector should join hands to align education to practice by encouraging meaningful apprenticeships within industries by amending the Apprentices Act, 1961, to make it relevant in the 21st century. Over the last two decades, China has striven to transform itself into the world’s second biggest economy, through a slew of reforms, including the mass reallocation of labour from low-productivity agriculture to high-productivity manufacturing. What motivated Chinese workers to slog day and night? This is partly answered by a sociological reason: the people of China and other nations in the Far East have always been disciplined. A dose of strong-arm enforcement injected into oriental values ensured a disciplined work ethic. By combining worker benefits with relaxation of hiring and retrenchment norms in its labour reforms in 1995, China was well on the way to becoming a manufacturing powerhouse. While China does have unions, they are virtually, without exception, under the control of the All-China Federation of Trade Unions which is controlled by the government and the party (Communist Party of China). Collective bargaining, legal strikes or dispute resolution are non-existent. Here, in democratic India, the present labour laws impede industrial growth. Labour reforms are never easy, as there are multiple stakeholders involved, from workmen unions to politicians and the government. How did China manage to develop absolute advantage in so many industries? The answer is simple — with the government’s whole-hearted help. State-owned banks give loans to local companies — large or small, at rates as low as two per cent, and local governments across China allocate cheap or free land. In India, funds are grudgingly provided to MSMEs at crippling rates of interest. The export subsidies and incentives granted by the Chinese government helped grow a vibrant manufacturing sector with thousands of small, medium, and large industries, focused on high-volume mass-manufacture aimed at exports. In addition, the market access available to China as a result of its WTO membership, contributed to its impressive trade performance. China also created barriers for imports to maintain huge trade surpluses. For example, products that have passed international quality certifications have to again undergo tests like the China Compulsory Certificate (CCC) for entry into the Chinese markets. Hence, today, China is the shop floor of the world. In India, on the other hand, myriad rules, regulations and harassment are killing the manufacturing industry. The so-called incentives and subsidies for exports are so difficult to access through the maze of red tape, that manufacturing industries, especially the smaller ones, find them unviable. It is not surprising therefore, that a World Bank report ranks India at 130, and China at 84, out of 189 countries, in terms of the ease of doing business. As a result, Chinese products turn out to be cheaper than the local ones in spite of import expenses, though not necessarily better in quality. While India soared ahead digitally, the manufacturing industry was neglected. The government should now aggressively focus on building robust infrastructure from the foundation, providing support to the industries in the form of low interest loans and subsidies. However, the Chinese model of export-oriented industrialisation is not the way to go. Although China is at the helm of global exports, it is now struggling to boost internal consumption. India has the potential to become a thriving manufacturing hub. There are multiple factors in favour of India; it is up to us to leverage them and race ahead. If all the concerns of the manufacturing sector are addressed, we may well see India and China trading places in the future. This entry was posted in Make In India, Published articles and tagged aerospace component manufacturers, Aerospace Engineering, Aerospace industry, aerospace updates, Aviation engineering, aviation engineering study, Defence component manufacturers, entrepreneur in aerospace industry, IndianSMEs, MakeInIndia, Radel Electronics on November 16, 2015 by Raj Narayan. Design capability is like a capital asset required to churn out high value returns. It is like a compelling fragrance as it spreads across domains. Design and manufacturing together produce a closed loop system of learning, improvement and further innovation. But, if you do not possess this asset, you are only providing low value manufacturing services while allowing an overseas designer to dictate terms forever. Design is a very strong capability since it allows continuous upgradation of products and processes. An ecosystem that encourages innovative design yields new technologies and products thereby leading to large-scale local manufacturing and overall economic growth. Design in India should therefore be the larger objective of Make in India. Over the last 50 years, there have been many examples of indigenous design. Examples in the ’70s include the Sumeet kitchen mixie, the wet grinder, the Good Knight mosquito repellent and early models of washing machines. In the pre-reforms era, there were many truly Indian products for home consumption. Revolutionary inventions in Indian classical music—a traditional niche area—include Radel’s electronic tambura, tabla, sruti box and veena. Cut to the present. Why are our large business houses importing simple appliances like bread toasters and electric irons from China? Even in the booming automobile sector, there is not a single vehicle in India that is fully indigenous in design, in spite of large private players having manufactured under licence for over five decades. Many consumer and industrial products were earlier being manufactured here. Why did these industries turn into traders of imported commodities? Electronics was identified as a sector with high potential in the late ’70s. We missed many opportunities to create a vibrant electronics industry. Companies in the US and Europe offered to set up semiconductor fab plants but we refused. Malaysia, Thailand, South Korea and Taiwan accepted these opportunities and are now miles ahead of India. In the strategic defence sector, India has manufactured battle tanks and aircraft under license for over five decades but doesn’t seem to have learnt how to maintain and support these ageing platforms. On the other hand, in spite of sanctions, the Indian Space Research Organisation demonstrated our capability to experiment, learn and ultimately deliver. ISRO is now launching satellites for international clients at a fractional cost. This is the model to be replicated in defence as well. The problems of designing and manufacturing in India include long delays for routine matters that result in hidden costs. Exorbitant taxes demanded by authorities, lack of uninterrupted power, water and other infrastructure and rampant corruption by police and tax authorities ensure that Indian entrepreneurs, with a few exceptions, are the least competitive in the world. The last straw for the entrepreneur is the outdated labour laws that encourage undisciplined workers to hold establishments to ransom. There are no simplistic solutions. Governments need to drastically simplify procedures and cut the red tape. Employees and managers in organisations need to change their work culture and ethics. Chinese organisations execute orders in record time while employees of a typical Indian organisation take days to respond to an email. That’s how they get more orders than us. The Indian education system, from the primary level, needs to teach students how to think and apply knowledge rather than crack exams. We can still become a manufacturing powerhouse with determination, a change in attitude and the courage of conviction. Time, however, is running out. The original article appeared on The Week. This entry was posted in Innovation, Make In India, Published articles and tagged aerospace component manufacturers, Aerospace Engineering, Aerospace industry, aerospace updates, Aviation engineering, aviation engineering study, Defence component manufacturers, entrepreneur in aerospace industry, IndianSMEs, MakeInIndia, Radel Electronics on November 7, 2015 by Raj Narayan. Bengaluru-based aero defence equipment maker Radel Advanced Technology (RATPL) is eyeing huge opportunities in the defence sector this year and is developing a series of Indigenous technologies for the Indian Air Force (IAF). “An Electronic Line Replaceable Unit (LRU) for the Dornier (maritime reconnaissance) aircraft is under development and has successfully undergone functional testing at Hindustan Aeronautics Ltd (HAL). It is now in the qualification testing phase”, the company’s managing director, G. Raj Narayan, told IANS. Also, the company is awaiting integration and flight trial reports from the IAF for an electronic bomb-release controller used on fighter aircraft. “Once this is completed, the unit will enter serial production,” Narayan said. RATPL has increased the life span of the Jaguar fighter aircraft by indigenizing the distributor used on its rocket pod. The IndianSME has used modern electronic systems to replace the original, which is now obsolete. “This unit has undergone successful certification following into serial production,” Narayan said. The company is also working on the repair of a high voltage power supply component of the Indian Navy’s helicopters. “The project involves reverse engineering and design of a new power supply module using current electronics technology. The project is nearing completion and the finalized unit will be delivered to the Navy in a couple of weeks,” Narayan said. The company is certified by CEMILAC (Centre for Military Airworthiness Certification) and has executed 20 Indigenization projects for HAL and the IAF. It has already designed, developed and supplied a number of ground rigs for testing the avionics on board the indigenous advanced light helicopter (ALH) and the Sukhoi Su-30MKI combat jet. Multiple numbers of these have been supplied to HAL and are operating across IAF bases. “Repeat orders for these are being periodically executed by us to meet the needs of HAL, “Narayan said. The original article appeared on Business Standard. This entry was posted in Published articles, SME and tagged AeroIndia2015, aeronautical designing courses in bangalore, aerospace designing courses in bangalore, aerospace electronic design courses, aerospace skilling in bangalore, Aerospace skilling in India, Autocad courses, Autocad courses in bangalore, autocad training courses, autocad training in bangalore, certification course in aerospace designing, certification course in electronic designing, electronic design automation courses, electronic design training, Electronics design, Electronics design courses, electronics design courses in bangalore, embedded courses in bangalore, embedded training in bangalore, ESDM, esdm training, esdm training in bangalore, esdm training institute in bangalore, Finishing schools, Finishing schools in bangalore, Indian aerospace skilling, Indian Aerospace SME, Indian Aviation SME, IndianSMEs, Skilling in aerospace, training program in electronic design on January 5, 2015 by Raj Narayan. The biggest highlight of the year for the aerospace manufacturing industry and Indian SMEs without any doubt has been the announcement of the ‘Make in India’ campaign by our Prime Minister Narendra Modi. Not only has it galvanized the industry in India, but it has also given a renewed confidence to foreign player,s resulting in increased interest from foreign investors to invest in local manufacturing. The Make in India initiative has given new hope to the Indian SME sector and has come as a boost to the sagging morale of Indian SMEs and Manufacturing industry. 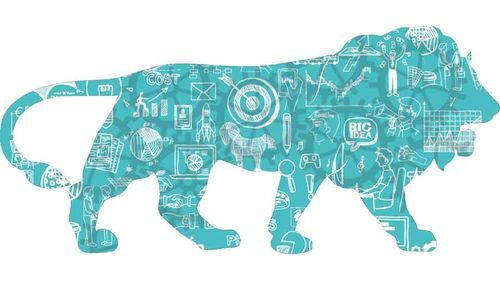 After the introduction of the Make in India campaign, the industry has started seeing visible changes to the functioning of bureaucracy across the country. The Union Government has been making all the right noises and is also demonstrating the willingness to take all steps to improve the economy on every front. Works and policies initiated and proposed by the new government in its first few months in power have been very encouraging for the aerospace manufacturing sector. Several Indian SMEs have overcome the long gestation period associated with the Aerospace & Defence sector and now look to take a leap forward with more prestigious projects. The successful flight testing of an in-house designed product of Radel in a Jaguar aircraft of the IAF, leading to its certification for regular use in all Jaguars, was the high point of Radel’s performance in 2014. Radel hopes to repeat the above success with another product, which is currently under an advanced stage of testing for the IAF, in 2015. Overall, Radel hopes to grow by at least 60 percent and look for opportunities in the global A&D market. Demand creation is also a big expectation. While consumer demand will get generated with inflation getting under control, it is critical to jump-start infrastructure, which can and should be the engine of growth for some years to come. Big steps like labour reform and land acquisition would be areas of high importance. They might get addressed this year if the stakeholders come together to work towards the common good.While it will be incorrect to expect all of that to happen in one year, it is encouraging to see a clear sign of a strong beginning of this cycle in 2015. This entry was posted in SME and tagged AeroIndia2015, aeronautical designing courses in bangalore, Aerospace, aerospace designing courses in bangalore, aerospace electronic design courses, aerospace skilling in bangalore, Aerospace skilling in India, Autocad courses, Autocad courses in bangalore, autocad training courses, autocad training in bangalore, certification course in aerospace designing, certification course in electronic designing, electronic design automation courses, electronic design training, Electronics design, Electronics design courses, electronics design courses in bangalore, embedded courses in bangalore, embedded training in bangalore, ESDM, esdm training, esdm training in bangalore, esdm training institute in bangalore, Finishing schools, Finishing schools in bangalore, Indian aerospace skilling, Indian Aerospace SME, Indian Avionics SME, Indianaviationsme, IndianSMEs, Skilling in aerospace, training program in electronic design on December 30, 2014 by Raj Narayan. Indian SMEs have been a hot topic of discussion during last couple of months and have attracted the attention of entrepreneurs, bureaucrats and industrialists. India’s Defence budget has been growing year after year and has reached Rs.2,290 billion for 2014-2015. As a result, the opportunities for Indian SMEs (Small and Medium Enterprises) have also grown, leading to increased focus of policy makers and Indian Aerospace SMEs on this sector. A significant thrust has been indicated in the union budget 2014-15 for the growth of Indian SMEs. After agriculture, the major contribution to the GDP (40 percent) is byMSMEs, who also have the largest workforce. MSMEs in all sectors are known for specific distinctive advantages like low-cost operations, unique skill sets, innovation, flexibility and agility. Indian SMEs nowadays are considered to be competitive and focused. There has been active participation of Indian SMEs in the last decade in the defence arena. MSMEs play a major role in the defence ecosystem by producing sub-systems and components. It has been estimated that the Indian defence sector currently comprises over 6,000 MSMEs which are fast integrating themselves into the supply chains of national and international majors including the PSUs. Although the majority of them produce items of low value addition, a few small enterprises have proved their potential by producing sophisticated high quality products at competitive prices. The Defence Procurement Policy 2011 had encouraged indigenous manufacture of defence equipment. Further changes in DPP 2013 have been made, to give preference to ‘Make in India’ across all categories. Indian enterprise should take indigenous design and manufacture as a challenge to grab the multi-fold business opportunity. This may bring a change – from dependence on imports to self-reliance. It will certainly yield technology spin-offs to various other fields such as automobile and consumer sectors. Nearly 50 percent of defence equipment that are held by IAF are obsolete. They either need replacement or upgradation to extend their useful life. An opportunity of around US$10 billion exists in this segment. Obsolescence management is a key area where Indian MSMEs can play a major role. A few Indian SMEs have developed indigenous sub-assemblies as part of obsolescence management, for both defence forces and defence PSUs. Lack of awareness and exposure to stringent performance requirements such as high quality, reliability, efficiency and ruggedness to perform in harsh environments. Lack of knowledge of military systems and platforms. Lack of design skills for development of these products or their components. Lack of training facilities for skilling the workforce, including engineers, in this specialised domain. Lack of access to specialised raw materials and testing facilities associated with this sector. Lack of funding to tide over the long gestation period characteristic of this sector. The decision to bring out a new policy for MSME by our Union MSME Minister, Kalraj Mishra will open up new opportunities for all stakeholders. Committees have been formed by Ministries of Finance, MSME and RBI to address all issues relating to the sector and it is hoped that they will provide a comprehensive policy that will reflect the changing business environment. Considering all the problems faced by entrepreneurs in this sector, a special category to classify ‘A&D MSME’ s would encourage more entrepreneurs to enter the sector. 1. During the procurement process, whether of PSUs or armed forces, SMEs with aerospace/ defence skills, experience and proven track record, should be given weightage. 2. SMEs with proven track record in a particular field (such as machining or electronics or hydraulics, etc.) but lacking experience in the A&D arena, to be given exposure to specialised processes and requirements of this sector. 3. Commonly used materials and standard parts (For example, fasteners) of approved grades and quality that either need to be imported or manufactured within the country can be consolidated by creation of a raw material bank, operated and managed by NSIC or a similar organisation. 4. This sector is known for the long cycle time, from order to realization of sales. Special funding schemes taking this factor into account, would be a major step in mitigating one of the main elements discouraging MSMEs in this sector. MSME clusters for the high technology A&D sector has to be facilitated. Government should encourage, promote and nurture these clusters through funding, training and support schemes. These clusters could also be virtual which form a supply chain for PSUs and defence organisations. Members in virtual cluster will be able to interact and share business and ideas mutually. There is no need for them to be co-located as a cluster. Members of the clusters would then be able to be use their skills to design or manufacture different parts of equipment. Growth of every individual in the clusters can be increased by pooling of complementary domain expertise. This would go a long way to establish the eco-system which is essential for successful and holistic implementation of indigenisation programs. As an extension of the cluster model described in the preceding paragraph, a PSU such as HAL or BEL, or the maintenance wings of the armed services could financially partner with a cluster for mutual benefit. This could be a successful implementation of the PPP model that many governments have talked about in the past. This PPP model would be able to address many of the problem areas elucidated above, including the issue of exposure and training in specialised domain areas of A&D. The PPP eco-system will provide the much required impetus to the MSME sector. While the new PM’s objective of turning the country from a major defence importer to an exporter opens up a much larger opportunity for the MSMEs, going far beyond the cause of self-reliance, there are challenges aplenty. However, these are not insurmountable if all the stakeholders come together and synergise for the common good. India is today the world’s largest military equipment buyer. This situation can be converted into a multi-fold business opportunity if indigenous design and manufacture is taken up as a challenge by Indian enterprises! This entry was posted in MSME and tagged AeroIndia2015, aeronautical designing courses in bangalore, Aerospace, aerospace designing courses in bangalore, aerospace electronic design courses, aerospace skilling in bangalore, Aerospace skilling in India, Autocad courses, Autocad courses in bangalore, autocad training courses, autocad training in bangalore, Aviation industry, certification course in aerospace designing, certification course in electronic designing, electronic design automation courses, electronic design training, Electronics design, Electronics design courses, electronics design courses in bangalore, embedded courses in bangalore, embedded training in bangalore, ESDM, esdm training, esdm training in bangalore, esdm training institute in bangalore, Finishing schools, Finishing schools in bangalore, Indian aerospace skilling, IndianSMEs, Indigenous design, Skilling in aerospace, training program in electronic design on December 11, 2014 by Raj Narayan.